Erika Kelton is a lawyer who has represented whistleblowers in several landmark cases, including the leading whistleblowers in GlaxoSmithKline’s $3 billion settlement with the US and an international whistleblower who exposed a massive securities fraud to the US Securities and Exchange Commission. So far, the answer to the above question seems to be a little bit of both. 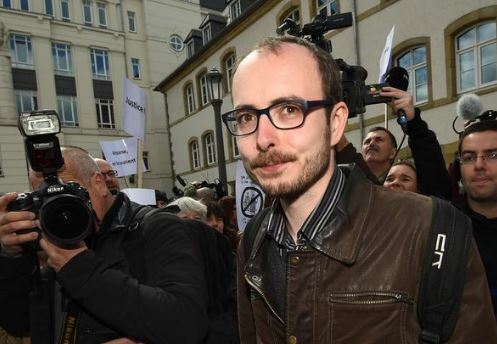 LuxLeaks whistleblower Antoine Deltour received the European Citizen Award in 2015 for his role in exposing how hundreds of corporations used convoluted structures to avoid paying taxes. But just several months later, Deltour was sentenced in Luxembourg to a year in jail for the exact same whistleblowing. All of Europe should recognise whistleblowers’ central place in anti-corruption enforcement efforts by establishing coherent, meaningful policies. To encourage individuals with knowledge of corruption to step forward, countries need to offer whistleblowers not just employment protections, as many now do, but also financial rewards. BaFin, Germany’s financial watchdog, recently created a whistleblower program that protects the identity of those who report wrongdoing to them, but that is not enough. Some critics scorn the notion of rewarding individuals for information of financial frauds, but it is plain that most sophisticated corruption schemes are only uncovered with the help of inside information. And the way to encourage insiders to come forward is by offering financial incentives that will compensate for the profound risks to their livelihoods and careers that whistleblowers face. The satisfaction of doing the right thing simply is not enough to pay the bills or put food on the table. Inexplicably, whistleblowers in Luxembourg, Switzerland and some other countries may be imprisoned for disclosing evidence of massive economic crimes that harm all Europeans, which is just plain backwards. In contrast to the reluctance of European countries to provide financial incentives for whistleblowing, US policymakers support generous whistleblower incentives because they are among the most successful and efficient means of rooting out corruption and returning ill-gotten gains to the government and investors. The success of US whistleblower programs is transforming fraud enforcement globally, as US laws often may be enforced against corrupt conduct overseas, including under the Foreign Corrupt Practices Act. Whistleblowers from Europe and elsewhere may participate in US whistleblower programs, and are doing so in increasing numbers. In fact, the US Securities and Exchange Commission’s largest ever whistleblower reward – more than $32 million – was paid to someone from outside the US. However, while US jurisdiction over international financial frauds is very robust, it is not absolute. Many whistleblowers who contact my law firm from outside the US have inside information concerning significant and destructive corruption schemes in other countries. In those instances where US law enforcement has no jurisdiction, the individuals often choose to stay silent rather than take the risk of providing information to government prosecutors in their home countries. It’s a decision I totally understand, given their circumstances. In 2015, the US Department of Justice recovered $3.5 billion from False Claims Act lawsuits alone. This is not pocket change – US whistleblower programs have had a real impact on rooting out corruption and returning ill-gotten gains to the government and investors – and the $85 million in awards paid out by the SEC so far will motivate more people to step forward. Research shows that whistleblowers are typically the employees most committed to the future success of their company. In fact, one report found that 9 out of 10 employees try to raise issues internally before talking to anyone outside the company. There is no evidence to support opponents’ argument that an incentive system encourages anyone with a half-baked theory about fraud to run to the government to try to claim an award. In my experience representing whistleblowers for more than 20 years, most whistleblowers report wrongdoing by their employer only after being rebuffed or retaliated against when they raise their concerns with their managers or company executives. Whistleblower rewards work. In conjunction with the offer of real protection, there is no better way to incentivise those with vital information about significant frauds and corruption to come forward. EU member states should strongly consider adopting policies that better protect whistleblowers and incentivise them with financial rewards. Amazing that you can print an articual about corruption in the EU and not mention the name ‘King of the tax avoiders’ Juncker once in the whole piece.